Preheat oven to 275 degrees. Line baking sheets with parchment paper. Using an electric mixer at low speed, cream butter and confectioners' sugar until smooth. Beat in vanilla extract. At low speed, gradually add the flour. Mix in the pecans. 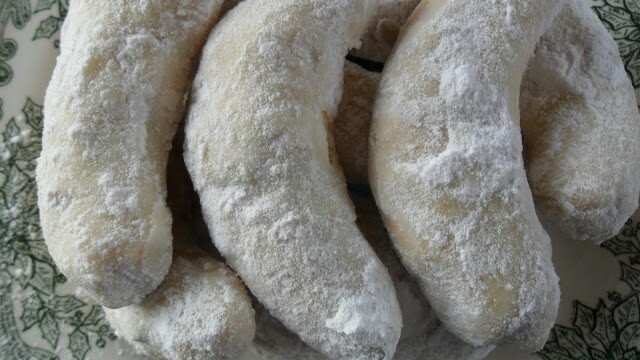 With floured hands, take out about 1 tablespoon of dough, shape into a crescent. 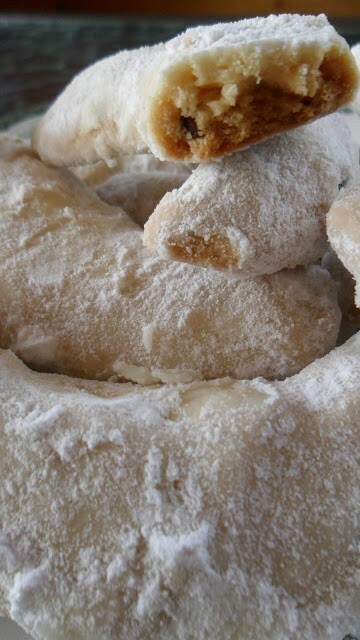 Continue to dust hands with flour, as you make and shape the cookies. Place them 1 inch apart on prepared baking sheets. Bake for 45 minutes. 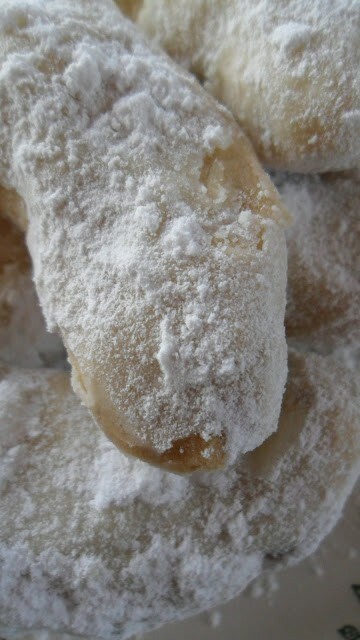 Remove from oven and roll in additional confectioners' sugar while still warm. Cool completely on wire racks. Store in air tight containers.